Russia-led occupation forces on Tuesday have twice violated the cease-fire agreement in Donbas, Ukraine's Defense Ministry has said. "Since the beginning of the day, in Joint Forces Operation area there have been two ceasefire violations," the ministry said. 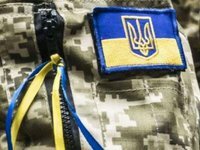 "The enemy from 01.40 for 20 minutes used tank grenade launchers to shell Ukrainian positions near Slavne (Donetsk region)… and from 03.10 for 30 minutes fired automatic grenade launchers at Ukrainian positions near Novooleksandrivka (Donetsk region). "The situation on the front line is under our control," the ministry said.